We've found a Marguerite Daisy that doesn't swoon in summer heat. It's a yellow-flowered variety named 'Butterfly' that begins to bloom almost the moment it's planted and continues with nary a pause till frost. Even under hot, dry conditions, these plants produce such a mass of buttery daisies that you can hardly see the deep green foliage. 'Butterfly' has a mounded form and is suited for use near the front of a border or in a large continer. It also makes a striking, short-term hedge. Given full sun, regular watering, and ocassional grooming, it will fill your summer with countless sunny daisies. A Proven Winners® variety. For more information on the growing and care of Argyranthemum, click Growing Guide. A group of annual, summer-flowering Daisies that bloom long and hard on bushy, mounded plants with lacy foliage that sets off the flowers to perfection. 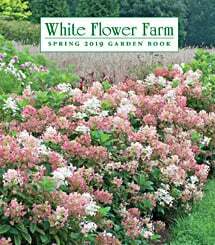 A good size and habit for mixed borders or container growing, and a carefree disposition that needs only an occasional deadheading or pruning to look its best and encourage rebloom. Give them full sun and plant in average garden soil.